Good management has brought the $559 million United States sea scallop fishery back from the brink of collapse over the past 20 years. However, its current fishery management plan does not account for longer-term environmental change like ocean warming and acidification that may affect the fishery in the future. A group of researchers from Woods Hole Oceanographic Institution (WHOI), NOAA’s National Marine Fisheries Service, and Ocean Conservancy hope to change that. They developed a computer program that concurrently simulates ocean conditions, sea scallop population dynamics, and economic impacts on the scallop fishery. In the past, each component was considered separately, so it wasn’t possible to anticipate the full range of impacts of environmental changes on, for example, fishery revenues. “Combining ocean chemistry, biology, fishing and economics into a single model was a real challenge, but the effort is critical if we are going to provide useful information to fishing communities and resource managers,” says Scott Doney, a marine chemist at WHOI. The researchers describe the model, featured May 6, 2015, in a research paper in PLOS ONE, as a tool intended to empower everyone who is part of the fisheries management process. Output from the model ultimately will be available on an interactive website, where users can compare and contrast the effects of different management, environmental, and market scenarios. To date, the researchers have analyzed just one scenario with the model. 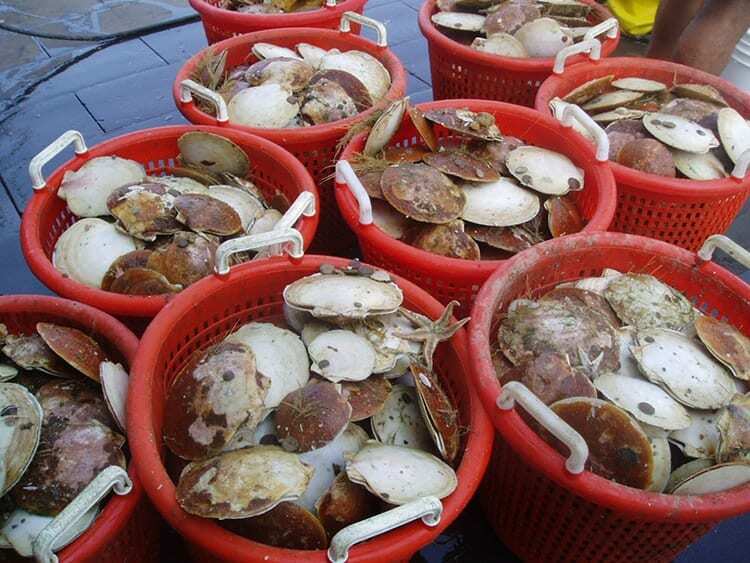 It shows that with current harvest levels and business-as-usual carbon dioxide emissions, sea scallop harvests may decline over the next several decades, and landings of larger scallops may be less abundant. The authors emphasize, however, that this is just one possible future scenario. Additional scenarios need to be evaluated, and more detailed information is needed regarding the impacts of warming and ocean acidification on sea scallops. The interactive website under design will be user-friendly so users will not have to be computer experts to compare different futures and management scenarios once it is complete. The researchers hope this model will foster more informed discussion from multiple viewpoints, by allowing people to compare the relative short- and long-term merits of different management efforts that could be implemented. This overall model-plus-website approach might be useful for other fisheries likely to be affected by global change. “The coupling of a biogeochemical model, a stock assessment model, and a bioeconomic model is exciting, and serves as an example for other fisheries in the Northeast region,” says NOAA co-author Jon Hare. This research is aligned with NOAA Fisheries’ draft Climate Science Strategy, which seeks to incorporate global change into routine fisheries management, so it is hoped that support for more research of this sort is likely. For now, it’s useful to work out exactly how to do this using a successful fishery as an example. “Because this is a high-value fishery that’s not in crisis, we have the luxury of planning ahead for future challenges. This way, we can help sustain the fishery and the communities that depend on it for income and jobs,” says co-author Sarah Cooley, science outreach manager at Ocean Conservancy, in Washington, DC. This research was supported by NOAA’s Ocean Acidification Program via the National Centers for Coastal Ocean Science’s Center for Sponsored Coastal Ocean Research (NA12NOS4780145), by the National Science Foundation via the Carnegie Mellon Climate Energy and Decision Making Center (CEDM; NSF SES-09497100), NOAA’s Northeast Fisheries Science Center, and WHOI’s Summer Student Fellowship. The current sea scallop fishery management plan does not account for longer-term environmental change like ocean warming and acidification that may affect the fishery in the future. 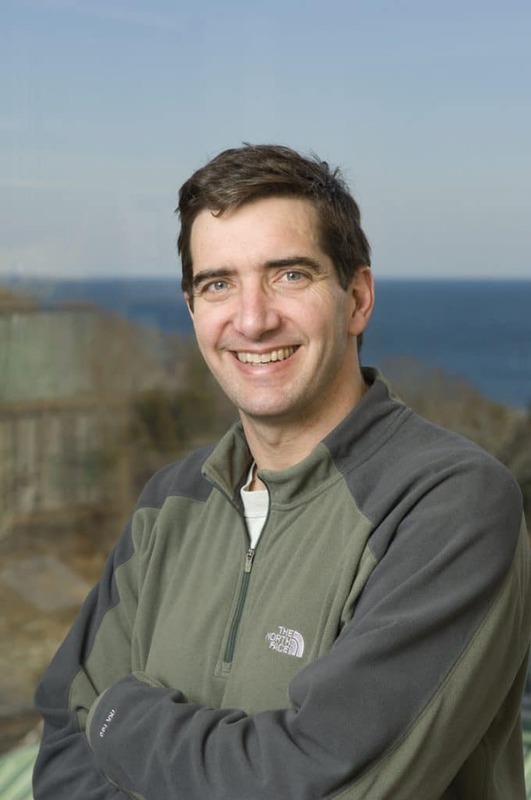 "Combining ocean chemistry, biology, fishing and economics into a single model was a real challenge, but the effort is critical if we are going to provide useful information to fishing communities and resource managers," says Scott Doney, a marine chemist at WHOI.